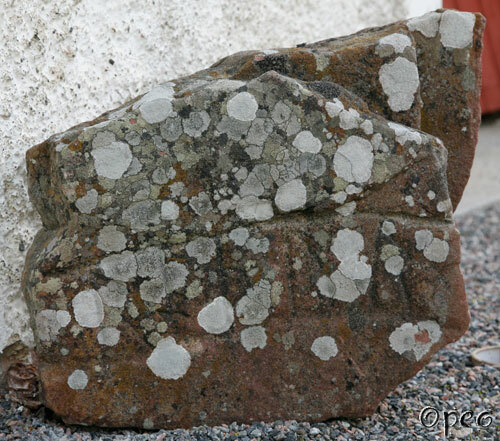 ... this stone in memory of Geir-... ... He had met his end abroad in Greece. Some of the runes are in a good shape but most of them are not. The stone was broken in two parts, and perhaps it was used as a floor-stone in the church, before it was saved and mended ? 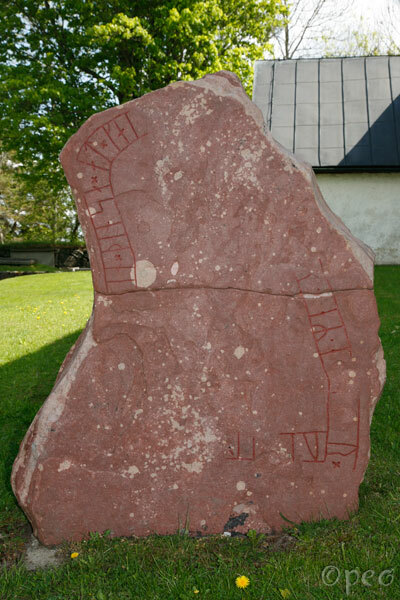 A fragment of a rune stone with text on both sides of it. This is the §B-side.